It wasn’t Arctic at all, the day our tracks fingered its way to Arktikum in the center of Rovaniemi. But as our guide Ms. Ami Kallo pretty quickly passed on, the Arctic is a demanding place. Animals adapt to the harsh conditions. The modern times, poses new adaptations. Throughout a trip in the Arctic, you’ll find numerous showpieces on how the people of the Arctic are adapting, specially, the Saami people. It is not so much the survival of the fittest, but survival of the adaptors. 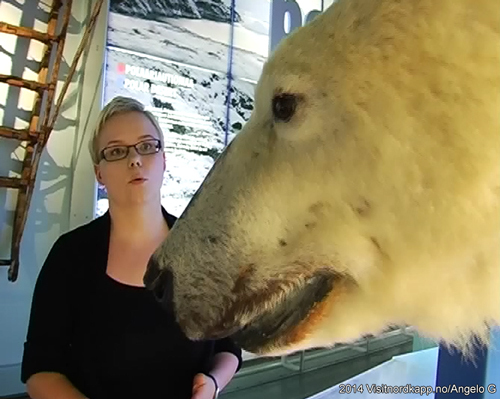 On our Diamonds of the Arctic Tour of 2014 we met only engaging hosts. Not only sole proprietors, who have a personal interest and, in addition, can be swathed into the Arctic by family history, but also the common summer guides. Ami at Arktikum was one of the latter. In fact, as she told us, she was personally interested in the interaction between Arctic nature and life. Whether, it is human, animal or plants. We were filming. It seemed Ami was so informative, that we were able to shoot two hours of raw film in just one hour. In the spirit of the Saami people here is a list of mixed ways of survival in the Arctic for man, mammal and wild fowl. The reindeer, the cow of the Arctic, has features in its making for adaptation to mercury freezing temperatures. Mercury freezes at minus 38 degrees. You have to use alcohol thermometers if you want to measure temperatures below minus 38 degrees. (And of course, this is only one reason people of the Arctic like alcohol). 5. The stomach has enzymes for digesting the rudimentary diet of the winter. The lichens/moss is edible, however, not so nutritious for normal stomachs. Food is important for creating body heat, and without it the animal will freeze to death. 6. Arktikum has a characteristic glass construction. It points like a finger at the delta of the Ounasjoki (river). On this day, standing beneath the glass was a sweaty greenhouse experience. In the winter, some animals take cover under the snow. Above the snow there might be mercury freezing degrees, but underneath the snow the temperature is a water freezing zero. The glass construction is illustrating the sixth way of survival. Use the snow as an insulator. a. Small rodents crawl around in their insulated tunnels under the snow. b. People, without any other options, will create some type of igloo to avoid the coldest temperatures. Sometimes when you are skiing outdoors you may suddenly stumble upon a willow grouse. If you are a carrying a shotgun, a popping bird is part of the hunt. The favorite small game of the Arctic will hear you coming from its hideout in the snow, and will unexpectedly pop up out of the snow. And fly away(?). The powder snow the willow grouse hide in can also become a death trap. If the weather changes dramatically, for instance, from warm to cold temperatures, the top level of the snow can become an unbreakable crust for the bird. It will be impossible for the bird to crack through the icy shell. 7. The seventh survival trick is the white protective and (warming) coat. The willow grouse that pops out of the snow has white feathers. In the summer the feathers are mostly brown. To camouflage itself the chicken of the north will change colors according to the season. Arctic hares also change color and are white in the winter. 8. Number eight are sunglasses. To protect eyes from the sun is a worldwide fad. In the Arctic, when the earth is blanketed by snow and ice, the sunlight is not only coming from the sun but also from its reflection in the snow/ice. If you don’t protect yourself, you may go snow blind: A temporary and annoying loss of sight. 9. Number nine are larger feet. Animals such as Wolverines and Polar Bears have large paws. They will float upon the snow instead of stepping through it. Man put on skis to stay afloat the snow. There are many more ways to enhance the rate of survival in the Arctic. 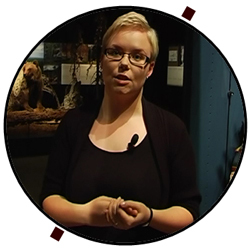 Adapt your tour of the Arctic to include Arktikum.